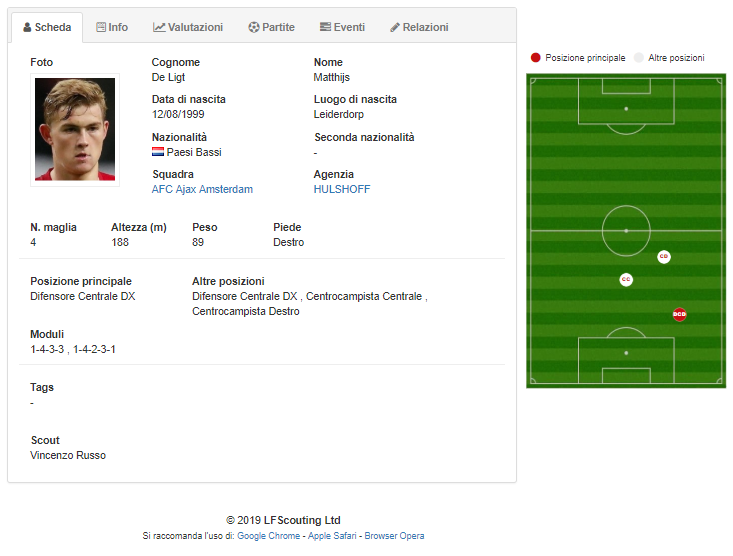 Who is Matthijs De Ligt The defender who is enchanting all the big? During Our observations, time ago, we had already seen the young Dutchman Matthijs De Light in the race of Eredivisie between Ajax and Feyenoord of 21-01-2018, storing it in our database. At a distance of time, without having to search the paper, we have displayed his name. At the time the class ' 99 is rated as a "to be taken" and a player of safe perspective for a top club. With a couple of clicks a report was created and submitted to the insiders. Matthijs De Light is technically capable of using both feet. He has a good view of the game, with great ability to build the maneuver. Tactically it has a good disposition to play in different defensive roles even if it prefers the position of right Center Defender with a defense to four. To Give a technical evaluation to a player of the market value of 16 million €, it is not always a simple decision to take, after the recent performances and the stable presence in the 11 holder of the Ajax, its valuation has risen to 70 million €. As always, the timing is the master! 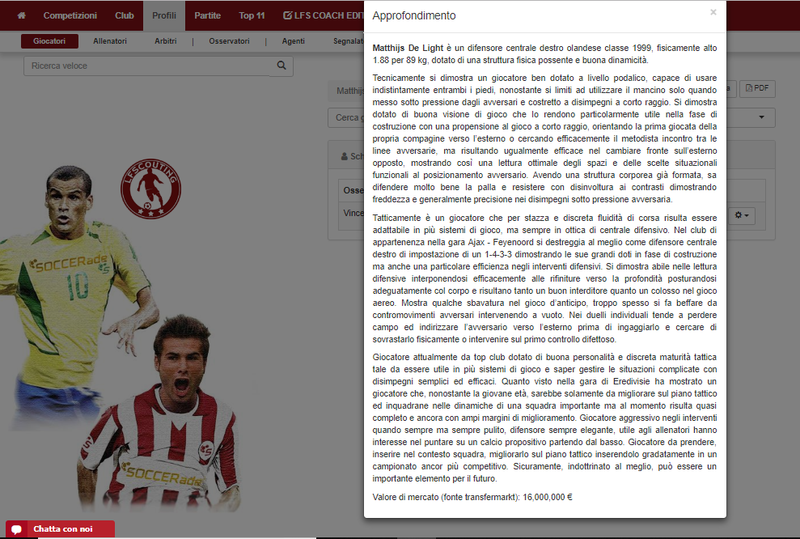 This entry was posted in Notizie and tagged Ajax, DeLigtMatthijs, Difensorediprospect. Bookmark the permalink. ← Inter, intensity and efficiency offensive: The Derby is yours!